Hi Visions of Venus Fans and Friends! If you haven’t noticed the political climate is heating up! 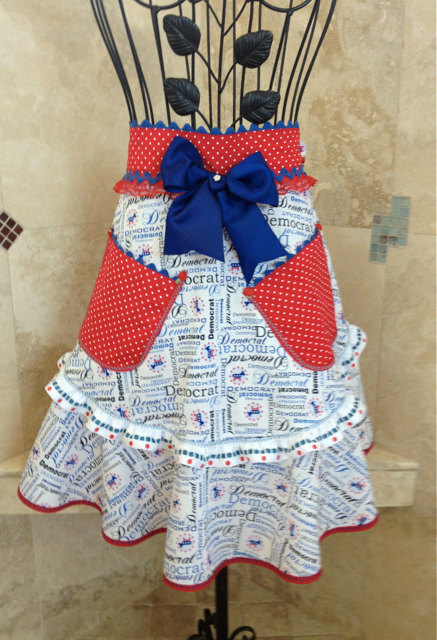 Why not show your team spirit with a Sassy Political Apron! Available now on Etsy! Celebrate the 2016 Presidential Campaign Announcements in Sassy Couture Style! In honor of the 2016 Presidential Campaign Announcements, Visions of Venus has the perfect Political Sassy Couture Aprons available on Etsy.